An experienced tap dancer can make even the most complex moves look effortless. Tap dance is a fun and rhythmic expression of dance that uses the feet to create sounds and music. The history of tap dance dates all the way back to the 1600s. While it’s difficult to decipher where and when tap developed, we know for a fact that African American slaves and Irish indentured servants are to thank for the beautiful form of dance. The peak of tap dancing occured in the mid 20th century as performers would dress up in formal clothing and perform on stage, creating rhythms to entertain the audience. Back in the day, tap dancers were known to perform with jazz musicians, creating fun beats over complicated chord progressions. At Fancy Feet Dance Studio, we’re proud to offer an array of children’s dance classes at our dance studios in Allerton, Crosby, Fleetwood, and Unionport. If you’re interested in signing your little one up for a tap dance class, visit one of our dance studios today or feel free to contact our friendly staff. 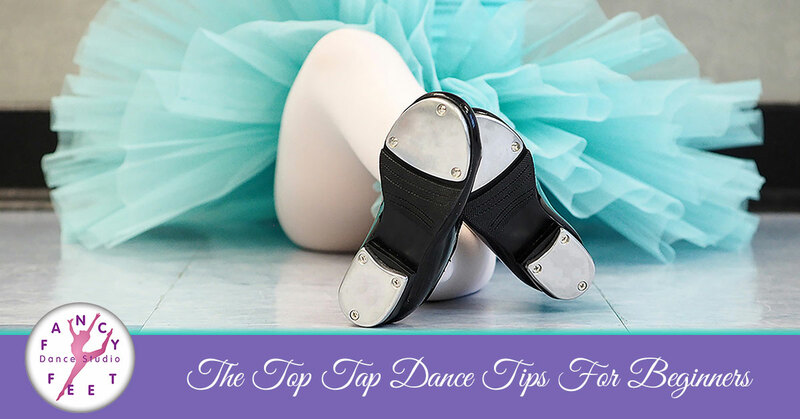 Before you enroll your child in a tap dance class at Fancy Feet Studio, make sure you know what you and your little one are getting into. For starters, you’ll want to buy your child comfortable workout clothes that will not restrict his or her movement. The clothes you choose for your little dancer should be breathable and lightweight, and they should not pose a tripping hazard. The Shuffle is one of the very first moves you learn in a tap dance class. It’s essentially a combination of two moves, the Brush and the Strike. To perform the Shuffle, start out in a Brush position. This will involve you standing on one leg and bending the other, lifting your foot off the ground. Now, perform the brush by swinging the lifted foot forward (keep in mind that your heel never hits the ground). One of the keys to tap dancing is to keep your ankles as relaxed as possible. Don’t overuse them or strain them to try and dance at a faster pace. Instead, make an effort to keep your ankles relaxed at all time and dance naturally. Learning a new form of dance can be challenging, and many new dancers feel like they have to rush through each step and movement. While it’s easy to speed through movements during a fast-paced song, working at a slower speed is the best route to go. If you start to notice that you’re skipping step combinations or rushing through parts of a song, take the time to slow down and practice your steps. This will result in cleaner sounds and less sloppy tapping. Posture is extremely important in the tap dance world, so having a strong core is key to a stellar performance. As you keep your core engaged, stay conscious of your legs. Your legs should never be stick-straight; instead, your knees should be soft and relaxed to reduce your risk of injury. In tap dance, shifting your weight from one foot to another is known as the Ball Change. This unique dance move involves a slight toe tap, standing with your feet side by side. Simply lift your heels and stand on the balls of your feet before placing your right foot behind you. Rock back onto the ball of your foot (at this time, your other foot should leave the ground for a second or two). If you live in New York and you’re looking for children’s tap dance classes in Allerton, Crosby, Fleetwood, or Unionport, sign your child up for a class at Fancy Feet Dance Studio. In addition to tap dance classes, we also offer children’s jazz and hip-hop, gymnastics, creative movement, ballet, and more. If you’re interested in learning more about our children’s dance classes contact our friendly staff today.